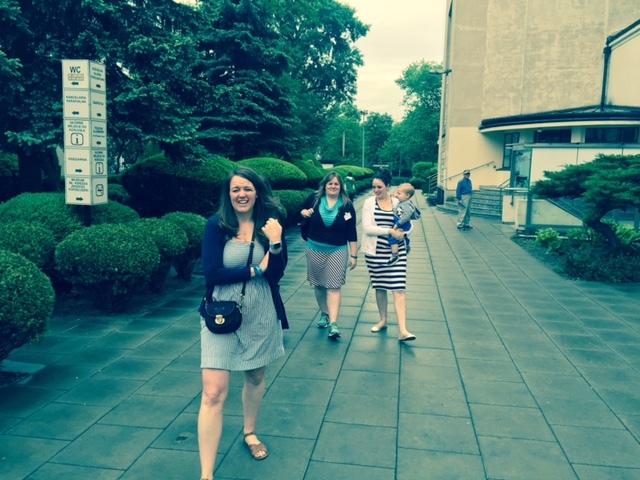 We arrived into Poland to start the pilgrimage. You might ask what is a pilgrimage. I wasn’t quite sure what a pilgrimage was before we started either but after several days it has been fun and interesting. Everyday we do Mass at a special church or chapel along the way. We have also visited a lot of churches must to the happiness of Nana Sue. We have toured many of the key sights of Poland. We have also spent time at key areas where Pope John Paul II visited and many shrines. Now a little history on Poland, Poland has been conquered many times, old buildings destroyed, and everything plundered. This has happened over and over again. So many of the historical places that we have seen are rebuilt from destroyed structures or the original structures with similar but not the exact furnishings and items in the buildings. It is hard to understand everything and what it really looked at as even the current Polish people are not sure. There is a lot of reminder of the suffering that the Polish people have been through. It is appropriate to have a pilgrimage here as there is a lot to pray about. One our first stops was to visit the St. Stanislaw Kostka Church. He is a saint because he was murdered by the Russian police while Poland was a part of the USSR. We learned a lot about what suffering of the Polish people during this time and about the liberation. 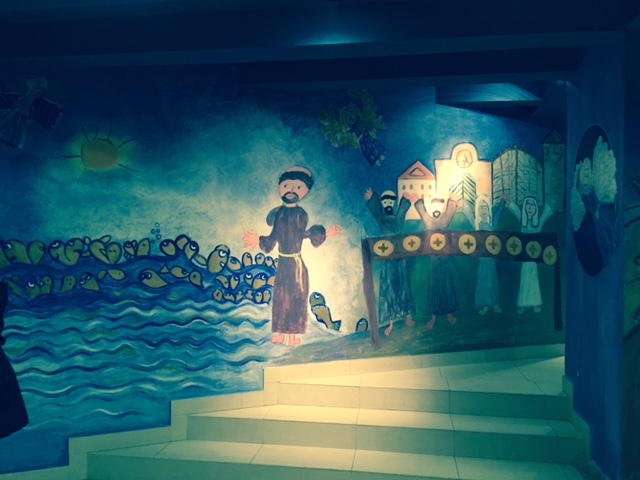 We had Mass at a wonderful Children’s Chapel that was a part of St. Stanislaw’s Church. 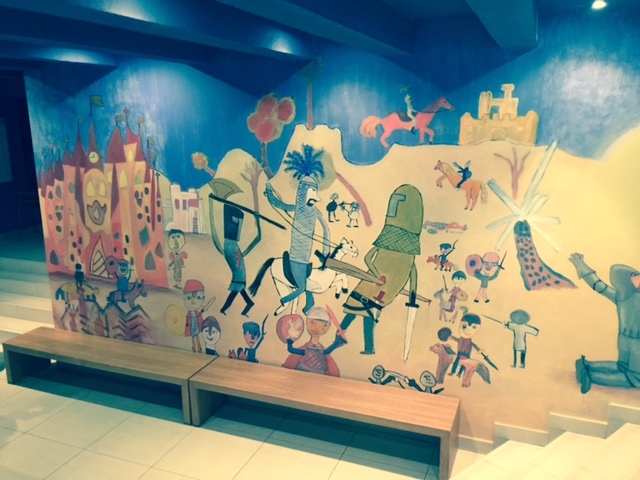 There were drawings all over the walls of Bible scenes. 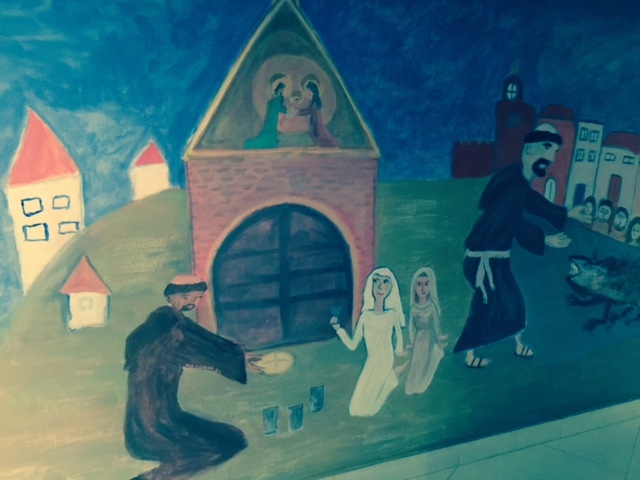 May 25, 2015 in Poland Pilgrimage.